Week 1 is among the more difficult to handicap every NFL season. From Black Monday in early January through the preseason, every team gets recast with new coaches, coordinators, players come and go, schemes change, and in rare but shocking instances, the moving trucks show up overnight and your city loses the damn team entirely. The point is, year over year, every team is a different product, it’s only a matter of degree. 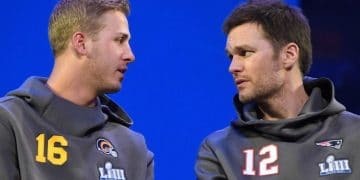 Since the start of the last NFL season, a lot of things have changed both in the NFL and the US sports betting world, and personally in the Smiley household. Put it all together and I wasn’t sure what would become of this column, which has been a joy of mine in some form for five years. The NFL changes are mostly pretty standard. A lot of things change and some remain the same, apparently now including the Atlanta Falcons’ inability to execute in the red zone. Falcons have drives down to the PHI 1, PHI 5 and PHI 15. No points on any drives. Red zone was their prime offensive weakness & Sark didn't fix it. Embarrassing. For U.S. sports betting, well, everything has changed. 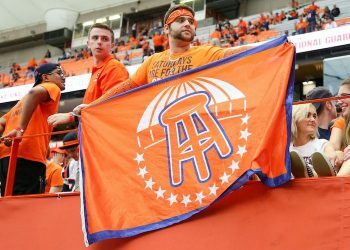 By the end of this year, at least six new states outside Nevada will have legalized sports betting, with retail operations live, and varying levels of mobile sports betting accessible. 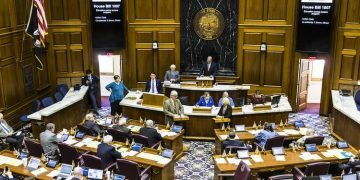 It may be years still before residents of some states have easy access to this Brave New Market — such as the massive populations of Texas and California — but at least PASPA is gone and the door is now open. On the personal front… I have always followed a week-to-week process of preparation for the NFL betting slate. It has been thrown into chaos recently. There are new and many responsibilities here at our growing Sports Handle, and more importantly I now have a two-week old son, who in the past few days has urinated on my face more than once. Rookie mistake: I’ve learned you don’t leave a male infant’s bottom half uncovered mid-diaper change. I gave the stream a stiff-arm, closed in and let him finish against my open palm, rather than allow a soaking of the carpet or my shirt. He also requires feedings every few hours, which has cut into my sleep reservoir. This is a Smiley boy, meaning he doesn’t miss a meal. It’s all worth it, of course, but I’m adjusting to a new life (mine and his) every day, and figuring out how to manage and maximize time. I thought of retiring the Three-Point Stance Report (TPS) in a world where every major and minor publication now has writers making picks and offering gambling breakdowns. Some behind a paywall, others in front. What can Brett Smiley do differently? The answer I determined is just be myself, hopefully turn a few good jokes or phrases, and fall on the right side of 54 percent over the course of this season. Betting on NFL games is my main hobby, so why hang up the column? It’s why Sports Handle was born in the first place. So the TPS Report marches on. This season we will cover the top five or six NFL games — “top” meaning the ones where I believe I can identify an edge or a winning wager, rather than reviewing the entire slate. Let’s get to it: The first NFL Week 1 of the post-PASPA era! I think the Bengals are going to win outright, but I’ll take the available 2.5 against the semi-trendy pick to bounce back and compete for the AFC South title — the Colts. It’s good to see that franchise QB Andrew Luck’s shoulder is well enough so he can play again in his first regular season game since New Year’s Day in 2017. For reference, that was three weeks before Donald Trump’s inauguration. Make of that what you will. I have consistently said throughout camp that I don’t believe Luck’s “fastball” is where it needs to be. This is something he’s acknowledged and believes will come with time. It’s still early in the process considering when he actually started throwing. The Tiger men have reached the outskirts of town. We hear growls in the distance, see the faint glow of Capt. Dalton’s crown. There is no mistaking it now: battle draws near. The men are confident. I am ready. My resolve is as strong as my sidearm. Capt. Luck is indeed ready but we could feel better about the Colts offense if he wasn’t playing, as ever, behind a mediocre-at-best offensive line that may be without starting left tackle Andrew Castonzo (who has struggled when healthy). 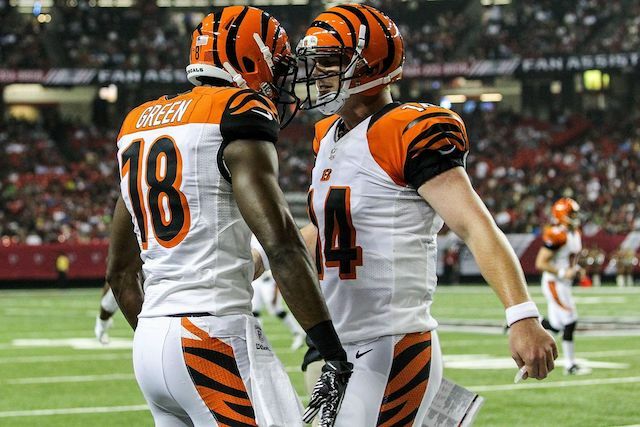 The Tiger men are going to be bearing down on Luck, while on the other side the Colts see a new-look Bengals offense under coordinator Bill Lazor. A reset Bengals offense with improvements on their offensive line, namely additions of LT Cordy Glenn and 2018 first-rounder Billy Price (Ohio State) at center, will give Andy Dalton time to exploit a young, inexperienced defense, especially at linebacker and in the secondary. Just one season after the Bills’ first playoffs appearance since the 1999-2000 season, Football Outsiders has Buffalo projected to win a league-low 5.4 games (mean projection). We just mentioned Cordy Glenn — last year he manned left tackle for the Bills, who also lost both left guard Richie Incognito and center Eric Wood to retirements. The line has almost completely reformed and may not be half as good. 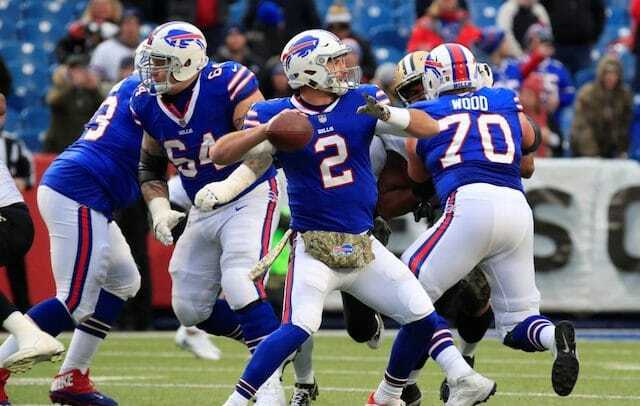 The Bills’ punching bag at quarterback for a few weeks until the team decides to throw rookie QB Josh Allen to the wolves is Nathan Peterman, best known for throwing five interceptions in one half of his career debut against the Chargers last year. The offense only functioned thanks to the rushing attack, aided in part by former starting QB Tyrod Taylor’s ability to scramble. As ever, the Ravens possess a stout defense, ranked third in 2017 per Football Outsiders’ DVOA and largely the same personnel this year as then. Last year the Bills’ wet-paper-bag rushing defense allowed a league-worst 22 rushing touchdowns and a near-worst (29th) 124.6 rushing yards per game. The Joe Flacco-led Ravens offense won’t scare anyone but it returns both starting guards this season, including perennial Pro Bowler Marshal Yanda and left guard Alex Lewis. Both will enjoy the opportunity to bowl over the Bills in their first games back. The figurative Winter is coming back to Buffalo. The pick: Ravens -7 or -7.5. You might have to pay up -130 or -135 to get Baltimore to -7 instead of -7.5. Grab what you can. I’d also consider Bills team total under 16.5. Last year they scored only 11 offensive touchdowns on the road all season. This might get ugly, something like Ravens 23-6. Brought to you by Facts You Never Knew Before, Niners QB Jimmy Garoppolo has never lost as a starter in the NFL. 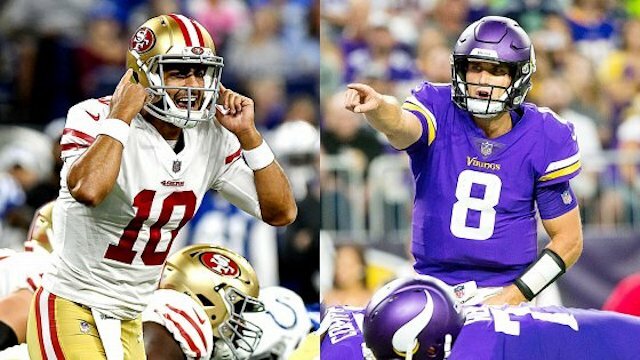 We won’t need to wait long to see him collect that L. The Niners are about to run into a buzzsaw defense in the Vikings that allowed only eight touchdowns at home last season and held opponents to 13.8 points per game. Against the spread at home? The Viking can do that, too: they’re 12-4 ATS over the past two seasons in the regular season. Kirk Cousins will make his debut in purple behind an uninspiring offensive line, which at least he’s used to from his days in Washington. #Redskins have 9 OL on the active roster. In a short week vs. DAL, 6 are injured. 4 are starters. But Cousins has never played with such a talented group of skill players on offense, including WRs Stefon Diggs and Adam Thielen and RB Dalvin Cook, returning from an ACL injury last October. Cook’s replacement in Minnesota last year was Jerick McKinnon, who tore his ACL last weekend. That’s a problem. And on defense, the Niners will have to go at it with a depleted LB corps, missing Malcolm Smith (hamstring) and Reuben Foster (suspension). Too many points in a divisional game. 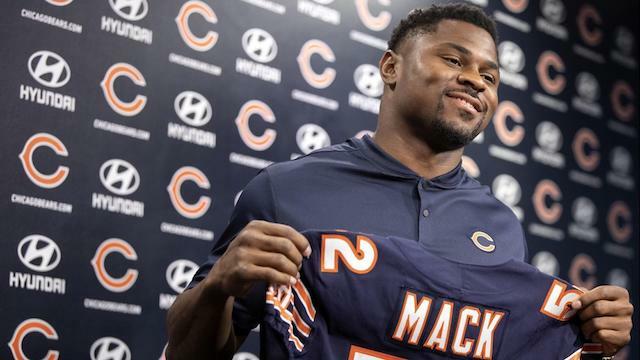 The Bears may only get to .500 this year but they will be competitive and just added ferocious edge rusher Khalil Mack to a steadily improving defense. Count the Packers blockers among the group least enthused about that acquisition. We know Aaron Rodgers will get his but Chicago should have a functional offense this year, with a reformed (and healthy, for now) receiver corps and offensive-minded rookie head coach Matt Nagy at the helm. The betting public will always hammer Green Bay (3-5 ATS at home in ‘17), so grab the hook. Are the Redskins really two points better on a neutral field? Not buying it. Happy Week 1, everybody!!! Farewell PASPA, hello freedom of sports betting!! !